I am so excited to offer you all this set! My kids have really been enjoying it, and I hope yours can too! 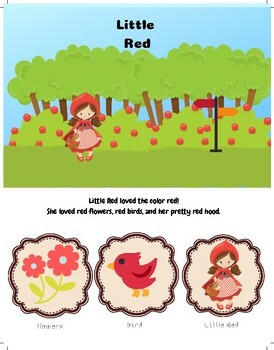 This set includes a very simple story book (Little Red) based on the Little Red Riding Hood story. 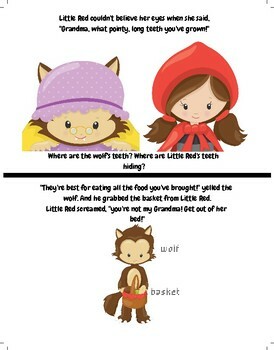 I made it very easy for early readers to co-read, and didn't put anything too scary in it - in the end the wolf is just scared away. 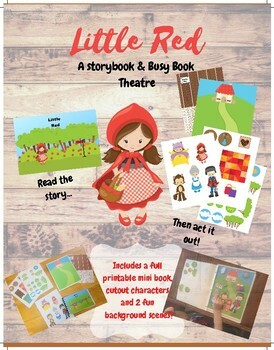 It includes a mini story book that you can staple or bind together, as well as 2 background scenes, decorations and all the characters from the story to play with! 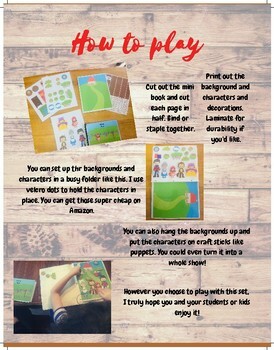 You can use it as a busy folder (as I've put in the photos above) or you can set it up as a puppet show. Either way, it's a lot of fun and I hope you enjoy it!